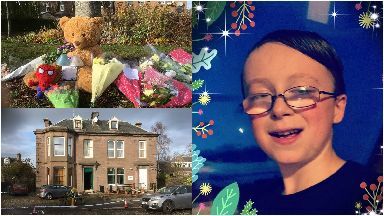 Kane Morris was found dead in his house on Union Street in Coupar Angus. Kane Morris: Family have been left devastated. The family of a ten-year-old boy who was allegedly stabbed to death have spoken of their devastation. Kane Morris was said to have been killed in his house on Union Street in Coupar Angus, at 2.30am on Sunday. 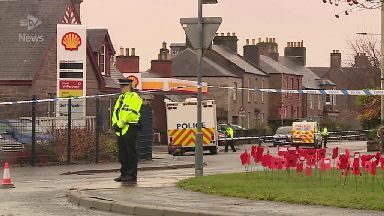 An eight-year-old girl, who STV News understands was also allegedly stabbed, is in a critical but stable condition in hospital. Police have arrested a 37-year-old man in connection with the incident. He is also understood to have been taken to hospital with stab wounds. In a statement, Kane's family said they are devastated at the death of the youngster, who was "loved dearly by all". 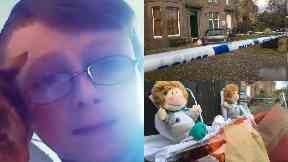 They said: "Kane was a popular young boy within the community, he was full of energy and loved dearly by all. "As you can understand, this is a devastating experience for us as a family. Although we appreciate all your well wishes, we ask for privacy at this highly sensitive time." Floral tributes and teddy bears were left near Kane's home on Monday morning. Inspector Ross Fitzgerald said: "This is a tragic incident and our thoughts at this time remain with those involved. "Our enquiries are ongoing and the community will continue to see a police presence in the area while these are progressed. "We appreciate this has been a very traumatic incident for those involved and the impact this has had on the local community. "While our enquiries are ongoing, we do believe this was an isolated and contained incident. "I'd like to thank the community for their patience and understanding as our investigation continues. Local officers will be conducting patrols if anyone with concerns wishes to speak to them." A Scottish Ambulance Service spokesman added: "We received a call at 2.25am on Sunday to attend an incident on Union Street in Coupar Angus. "We dispatched our trauma team, five ambulances and a manager to the scene. We transported one male and a child patient to Ninewells Hospital in Dundee."